Hello lovelies! So I know I've been pretty inactive from social media in the past couple of days, I guess I've just had a bit of a blogging 'stump' and sometimes we all just need a little bit of time to ourselves, I'm sure a lot of you will definitely agree with this! 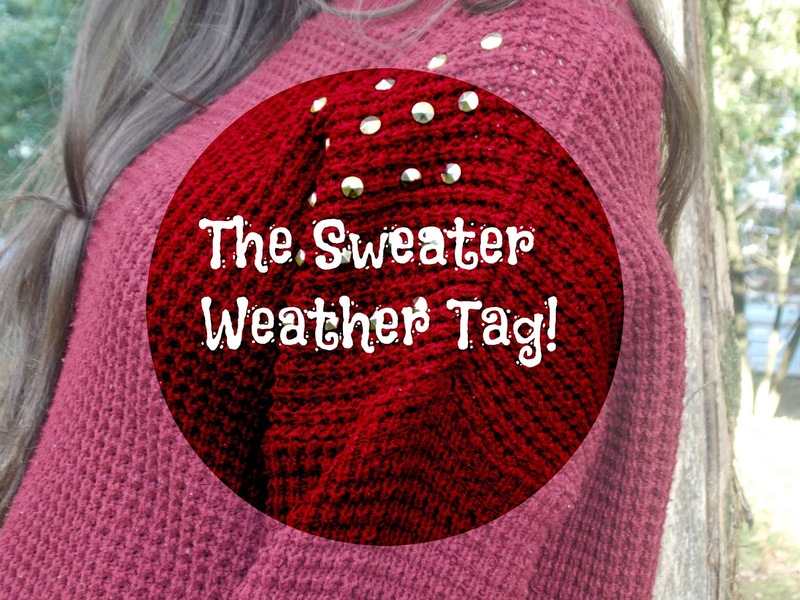 I thought I'd come back with a simple, tag post just to bring me back into the seasonal mood! I have to say anything apple scented with hints of cinnamon and pumpkin too, I adore anything pumpkin scented! For me it has to be a good cuppa coffee! My current favourites in Costa are a caffe caramella or a caramel latte. I'd have to say Halloween last year when me and my friend Sarah began to become really close and bonded through sending each other really ugly selfies, it was just so funny! Or going to Starbucks for breakfast a few weeks ago, it was really cute and definitely put me in a 'cosy' fall-esque mood. 4. Which make-up trend do you prefer? Dark lips and golden toned eye shadows definitely sum up fall for me. I say this all the time but for me it has to be DKNY: Be Delicious, the apple scent is just perfect for this time of year! As a British blogger, I don't actually celebrate Thanksgiving but if I'm thinking of Christmas dinner then roast potatoes and stuffing are the ones for me. Usually cold, wet and miserable. Although right now it's actually fairly mild with some sunny days but it has been very breezy lately. 9. Must have nail polish for fall? If I'm being honest, I'm actually not that big into nails but I do like anything burgundy or even white is a nice, simple colour for this time of year. I'd have to go with jumping in leaf piles, I'm always so tempted to walk over any leaves when I pass them. I just love the crunchy noise they make when you walk over them, strange.. I know! I love both but if I'm going for comfort then leggings all the way! If you read my blog regularly then you'll know that I have been in love with the Starbucks pumpkin spice latte throughout the entire fall season. I actually don't watch TV. Currently I'm watching 'The Face - Series 2'. 'The X Factor' and 'The Biggest Loser USA'. A very mixed bunch, I know haha! Anything Taylor Swift, particularly from her 'Red' album. Now that's it to this post, I really hope you enjoyed this. I tag Ffion, Cece, Elizabeth and Carolin to do this tag and of course anyone else who wishes to give it a go! Let me know in the comments what has been your favourite thing so far about the fall? Cute tag! I love this time of year so will get onto this on soon! I am a total Leggings person - comfy, not so bad looking and work with EVERYTHING! Oh, and I'm definitely a hot chocolate person but would love to try your recommendations in Costa! !